When Marriott launched their new loyalty program last August they came out with new elite levels and benefits. And when they renamed their program ‘Bonvoy’ in February they also renamed the top two published elite levels. Silver: 10-24 nights per year, I do not consider this level to offer meaningful benefits. Gold: 25-49 nights per year, you get 2 pm late check-out and hopefully avoid the room over the HVAC. Platinum: 50-74 nights per year, you get 4 pm late check-out, lounge access, upgrades if available (but not to suites at Ritz-Carltons), and continental breakfast as a choice benefit at properties without lounges (and at resorts). You also get a ‘choice benefit’ which includes the option of 5 suite night awards. Titanium: 75-99 nights per year, you get an additional choice benefit such as 5 more suite night awards, and upgrades to suites include Ritz-Carltons. Ambassador: 100+ nights and $20,000+ annual spend gets an ‘Ambassador’ assigned to handle all Marriott needs and entitles the member to Your24 24 hour check-in benefit. As tough a criteria as Ambassador is — 100 nights isn’t enough, and indeed you could spend 250 nights at mid-level properties in Asia without spending enough to qualify — it isn’t actually the top tier in Marriott’s program. That’s because there’s an unpublished level called Cobalt. Cobalt was previously the name of Ritz-Carlton’s invitation-only status. They’ve also used the name for credit cards in Canada and some lounges. Cobalt status cannot be earned. It is invitation only. The major unique benefit of Cobalt status is that hotels must provide a local experience. 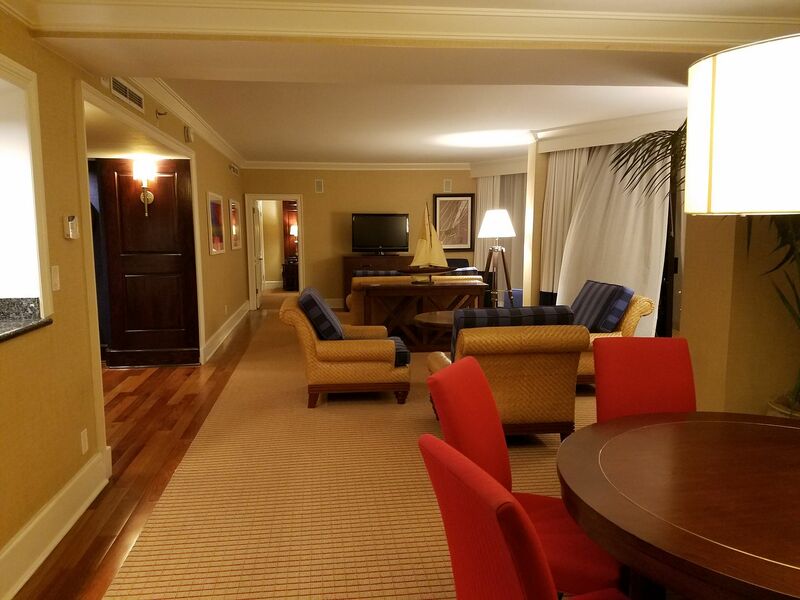 According to Marriott “The program is for individuals that the Chairman Emeritus of The Ritz-Carlton knows personally” suggesting this is the new name for “Platinum Five Star” which required nomination by Bill Marriott. This is not status for hotel owners, by the way. Owners are given Titanium (75 night status) not even Ambassador (100 night status) with one difference — Marriott property owners with Titanium status have their benefits apply regardless of rate booked, even third party rates, something Marriott took away from all other members without notice back in September despite assurances to the contrary from Marriott’s Senior Vice President of Loyalty David Flueck. Of course the airlines also have their invitation only status. I think the travel industry has to be careful with this sort of thing. I don’t know if I am the exception. I had already flown 2 million miles on United Airlines. In one year I flew over 100,000 miles all in paid first class (admittedly discounted first class and all domestic). Still, I thought I might be invited to join Global Services. I was a bit miffed when that didn’t happen. I happily fly all Delta now. Not as convenient for me with a home base of San Francisco but I’m glad to be flying the better airline. Since leaving United I have flow almost a million miles all in paid first class. So their secret program had a bit of a negative effect on their profitability. I am Titanium for Life with Marriott. Good – but now I’m a little disappointed to know that I have not been invited to join their “secret club”. It’s a secretive group. Invitation only by Bill Marriott. Weirdly named Cobalt. Makes one wonder if it’s code word for their planet, Kolob. It’s actually interesting that owners get elite status because Marriott’s terms and conditions prohibit employees from getting elite status and collecting points. I’m sure there are employees who break the rules but technically they aren’t eligible. Cool, another membership level that properties won’t know anything about. cobalt is about USD 15/ lb today. great choice of metal for their top tier status. the people that make up these levels need to go back to chemistry class. Another stab at trying to create something unique and another miss. The lack of value in loyalty currency continues to erode. When I was at the Westin Miyako Kyoto 2 week ago during the check-in, an employee dropped off some papers at the front desk and the top sheet was “Marriott Cobalt Elite” hotel experience or something. I’d wondered what that was about. I have been United Global Services 2 of the past 3 years. How? Best estimate is 250,000 PQM and/or $50,000 PQD to qualify to be in the top 0.1% of flyers. Also, it appears to be calculated by region. SFO would probably have a higher minimum to get to the top 0.1%, as there are a lot of high tech flyers going to Asia. I’m from ORD. 2,000,000 total miles mean nothing, as Global status is calculated for each calendar year. First class is good, but you say discounted. They still base it on the yearly PQD. In addition, flying on United metal is a definite plus, although Star Alliance is a close second. Check the flyer blogs for the spreadsheets of totals from worldwide flyers. You will see what the cutoffs are. Unless the local experience involves day spas that aren’t really day spas, I could care less. Great. Another Marriott status that many properties will ignore for the most part. What a clusterf@#$ this merger has become. I wonder what Bill Marriott thinks of this progress overall? I love the fact that Marriott property owners get Titanium benefits even when booking through a third party. Since Priceline or whoever almost certainly offers a lower price, Marriott is actually incentivizing hotel owners to book away from Marriott itself. Bonvoy! 1: Cobalt members get to use a web site that actually works and have an account that reconciles. 2: Cobalt members get to speak with a CSR that knows what they are doing. 3. Cobalt members were treated fairly on their purchase of Marriott Travel Packages. 4. Cobalt members don’t have to use the word Bonvoy. They get to retain use of the Marriott Rewards program. Pretty sure gold doesn’t allow you to avoid the view of the HVAC. We were at the residence inn Anaheim convention center and my platinum (at the time, now gold) wife got us exactly that view. I inquired why my 2x a years stays and group bookings (average $6k a week) never resulted in an upgrade for me, a long-time Plat. I asked what makes a VIP? I was told it was an UN-advertised level. Not given to franchisee owners or their high rollers (at the smallest casino in LV). Apparently for special level SPG members. VIPs were exempt from resort Fees and always got a free full breakfast; not the miserable continental breakfast for Plats and Golds. I suspect that “Marriott property owners” means owners of timeshares in the Marriott Vacation Clubs, not hotel owners. You only need a house on Boardwalk and Park Place, not hotels. But still not enough to consider buying a Marriott timeshare. Unless you’re a friend of Bill, and your tithings are being sent to the “Corporation” in SLC, you wont’ have Kolob.